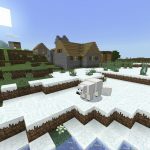 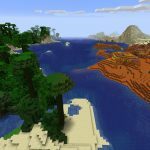 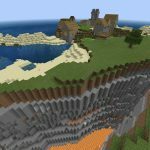 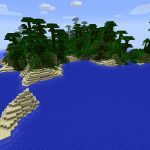 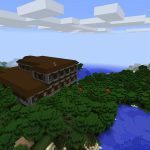 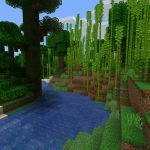 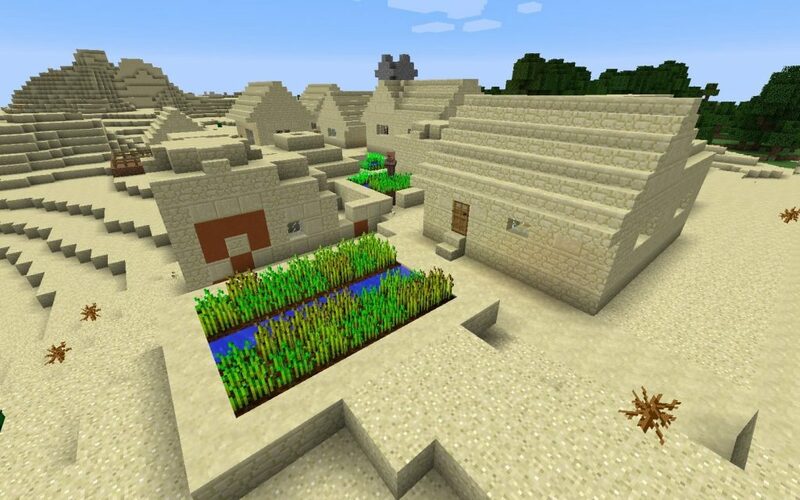 This one of our favorite Minecraft Seeds. 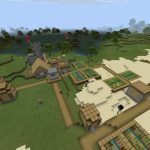 Enter the seed ‘fileeps’ and you’ll find a nice village with a glitch. 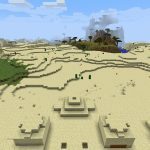 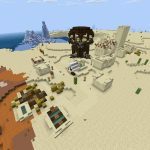 The desert village by spawn has generated on top of a desert temple. 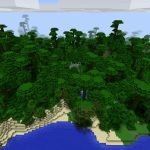 Parts of the temple peek out through the village here and there. 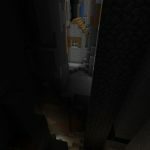 The temple itself is intact including the lower chamber and four chests. 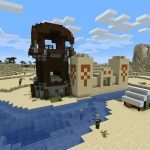 Standout items from the chests include an enchanted golden apple, golden apple, emeralds, gold ingots, horse armor and saddles. 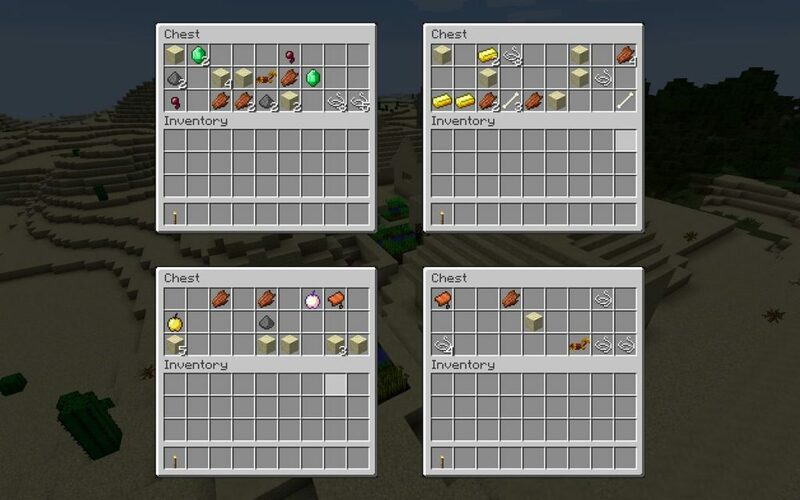 The contents of the desert temple’s chests. 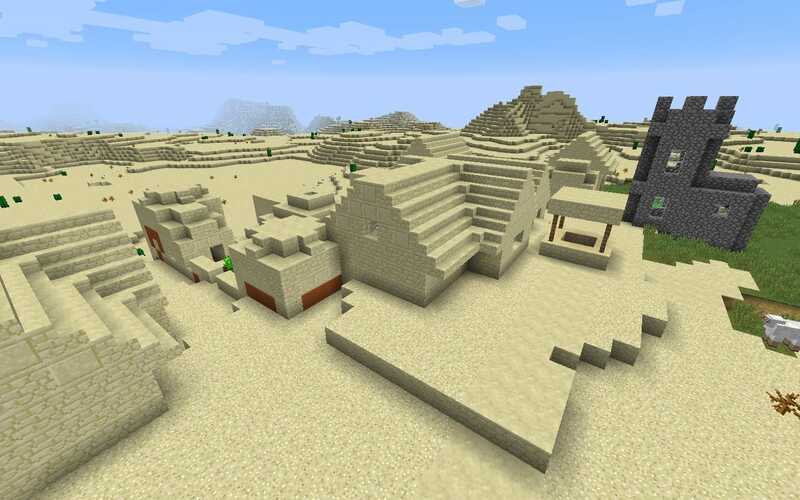 Part of the desert village with the temple emerging by a farm plot.